Yes, there is no food service available at Forged Axe Throwing but guest are encouraged to bring their own. 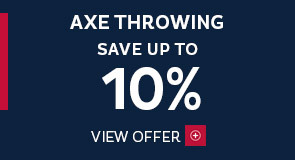 Where is Forged Axe Throwing and how do I get there? 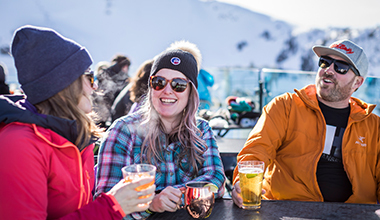 The venue is in Function Junction, Whistlers funky industrial neighbourhood about 15 minutes south of Whistler Village and 10 minutes south of Whistler Creekside. 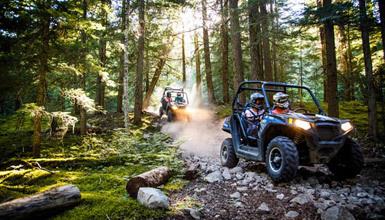 Book a spot on Forged Axe's complimentary shuttle, take the bus or taxi, pedal out on the Valley Trail or self-drive. Closed toe shoes must be worn by all guests participating in axe throwing. Is parking for bikes available? There are three allocated parking spots available to Forged Axe patrons outside the venue that are marked with signage. 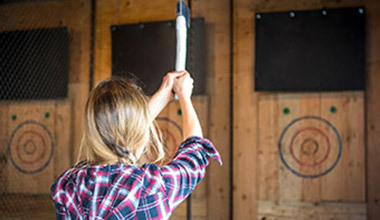 Forged Axe Throwing has everything you need for an afternoon of good clean Canadian fun. Plaid shirts optional, but highly recommended.